Delaware’s game warden job applicants must be highly qualified to prove they are the best candidate for the job in this highly competitive field. Competition is tough at both the state level and with the U.S. Fish and Wildlife Service, which means that officer applicants should have a strong understanding of the concepts behind both environmental monitoring and law enforcement. Typically, a warden's responsibilities extend to tasks like presenting information on environmental conservation laws, collecting data on the wildlife and habitats within their jurisdiction, and occasionally, even coordinating and participating in search and rescue endeavors. The geographic area that a game warden is responsible for is usually an entire county or larger portion of the state. With stiff competition for open positions, applicants are advised to understand qualifications, best practices for applying and interviewing, and to know what the selection process entails in order to be successful. It is also important to note that candidates with a flexible approach to the hiring process and that are prepared for multiple interviews would be best positioned for success. If you enjoy Delaware’s outdoors and also have an interest in law enforcement you may be already be a strong candidate for a Fish and Game Warden job in the state. For motivated men and women, this is a career path with exciting opportunities. Game wardens in Delaware are also known as Fish and Wildlife Enforcement Agents and perform many tasks beyond just checking hunting licenses. In addition to enforcing laws and preventing poaching, Fish and Wildlife Enforcement Agents present safety education classes and engage the public in conservation campaigns, as well as perform other duties typically carried out by law enforcement officers. Every Enforcement Agent is certified as a law enforcement officer, which means that each candidate needs to be strong in the skills that make law enforcement officers successful, in addition to having an interest in wildlife advocacy and conservation. Listed here are the minimum qualifications required to apply for the role of Fish and Wildlife Enforcement Agent in the state of Delaware. 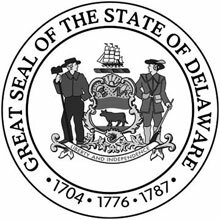 A full listing of the requirements can be found on Delaware’s Division of Fish and Wildlife website. License: A valid Delaware-issued driver’s license is required. Academic Credentials: Completion of high school or GED is required. To become a Fish and Game Warden with the state, trainee wardens in Delaware will begin their training as basic law enforcement officers by completing a 568-hour course at one of six Police Basic Training Courses throughout the state. Physical Readiness: The applicant must successfully complete a physical readiness test showing that he or she is in excellent physical condition. Candidates must also know how to swim in open water with competence. Being bilingual is an asset. The median salary among game wardens in Delaware was $49,795 or $23.94 an hour according to the state’s Department of Labor (2015). The state’s game wardens earned an average salary of $47,378 or $22.78 per hour.